Watch a movie and help build a city! Secretly wishing their lives were different, two children’s lives, living in different time periods separated by fifty years (1927 & 1977), intertwine in New York City. 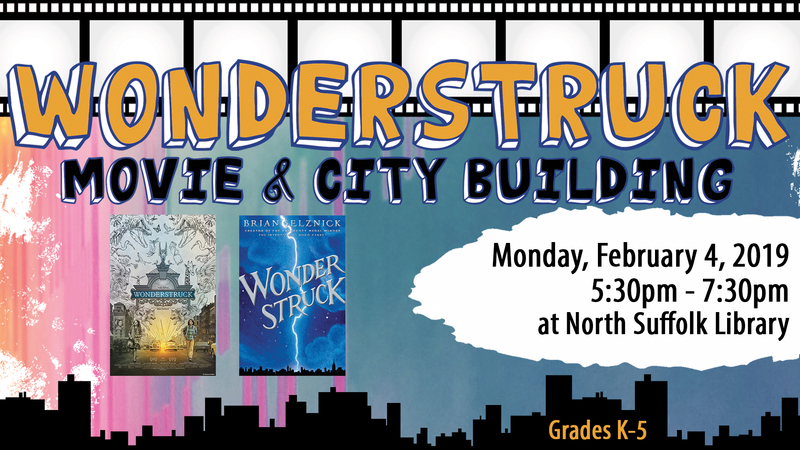 Wondersruck is a Battle of the Books book this year and in the story the two main characters visit the Panorama of the City of New York at the Queens Museum. It is a diorama of the entirety of NYC in miniature form. While watching the movie, come help us create our own little paper city. Grades K-5.